Mrs. Brosseau's Binder: The Video that Makes My Life Complete! The Video that Makes My Life Complete! 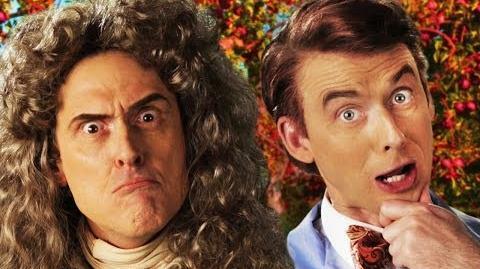 If you are big of a nerd as I am you will LOVE this Epic Rap Battle of History: Isaac Newton vs. Bill Nye! I mean, two of my favourite scientists, one played by Weird Al, plus a cameo from another one of my faves equals a very, very happy Michelle. Could it get any better?! What would be another amazing Epic Rap Battle between two scientists or mathematicians?